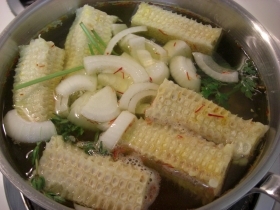 If you have fresh sweet corn, you can certainly eat it as-is. 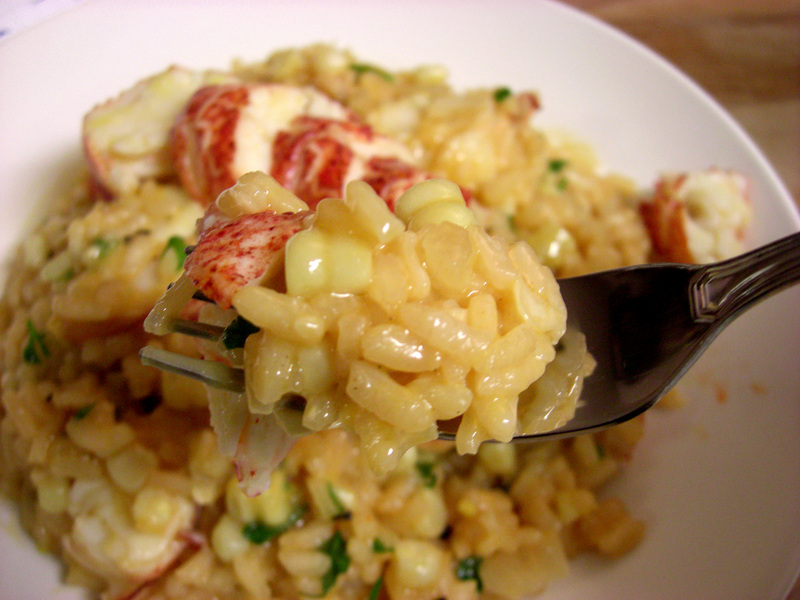 But if you’re feeling especially fancy, nothing pairs better with corn than lobster or butter. Or in this case, both. The richness of the risotto and the lobster pair with the crisp freshness of the corn and white wine; with tarragon and parsley, it represents all that’s best about the summer. 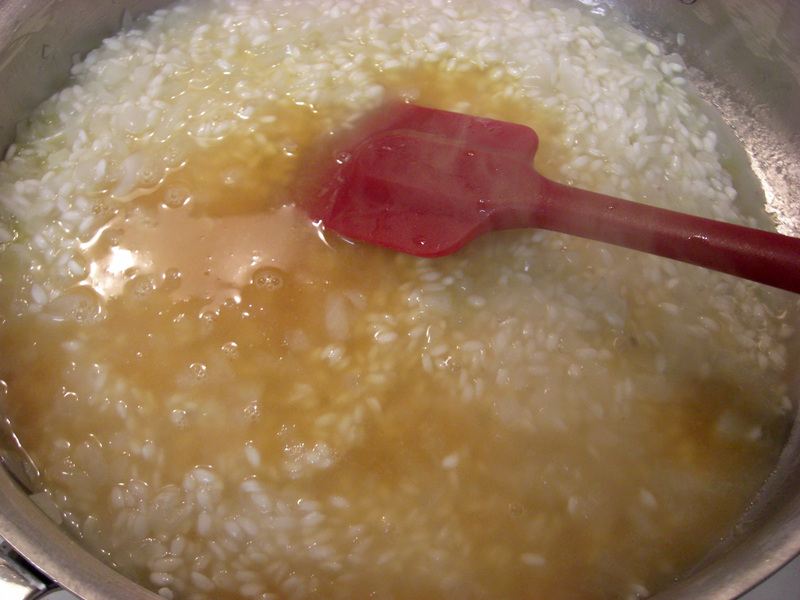 Historically speaking, rice came to Italy sometime in the 15th century, brought either by Arab occupiers themselves or by those who fled the Ottoman empire’s rule from Constantinople. But as in all things Italian, there’s an almost certainly baseless legend to justify culinary good sense. As the legend goes, Valerius was a worker (at times described as an apprentice; at times described as a master) on the Cathedral Duomo Di Milano in 1574 (at times described as a glassmaker; at times described as a painter). The legend further describes that he was teased for the colors in his work, some saying he added saffron to the pigments. Well, my recipe is intentional. July and August are perfect times to acquire both lobster and corn, when both are at their sweetest. The richness of the risotto and the lobster pair with the crisp freshness of the corn and white wine; with tarragon and parsley, it represents all that’s best about the summer. Not necessarily summer in Italy, however. 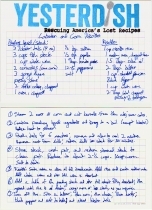 I explained my thoughts on this recipe to my mom over the phone, and at several points I heard her distinct diplomatic hesitation. Among the points she raised: corn isn’t generally eaten as a vegetable in Italy; she wouldn’t use thyme in the stock; and she wouldn’t use tarragon in the finished product. For her, lobster risotto is about a celebration of the ocean, where there are no cornfields, and where the flavor should be as intensely briny and fresh as possible. 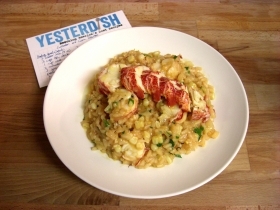 Her lobster risotto, I would imagine, would taste intensely of lobster, with hints of garlic, parsley, and perhaps a drizzle of truffle oil to finish it. I concede that my risotto is not traditional, not entirely Italian, and includes ingredients not often ocean-adjacent. 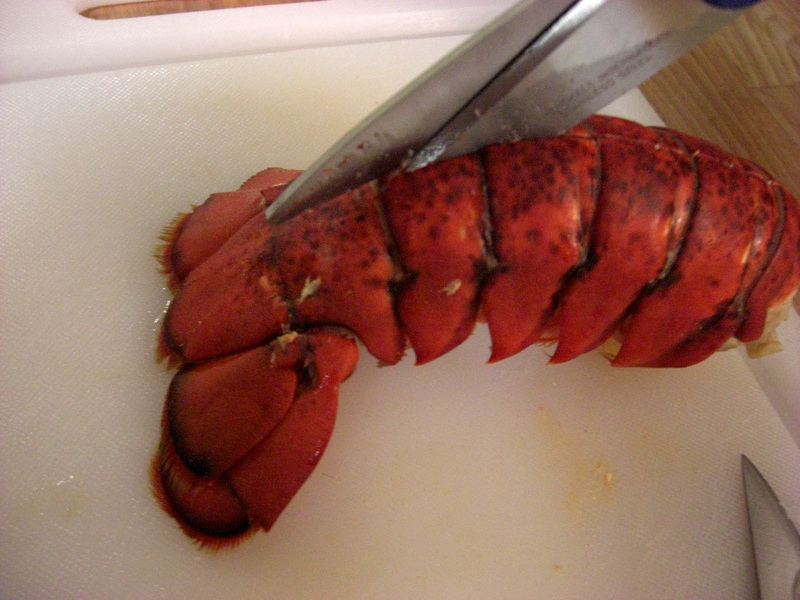 Really, this preparation is almost French. 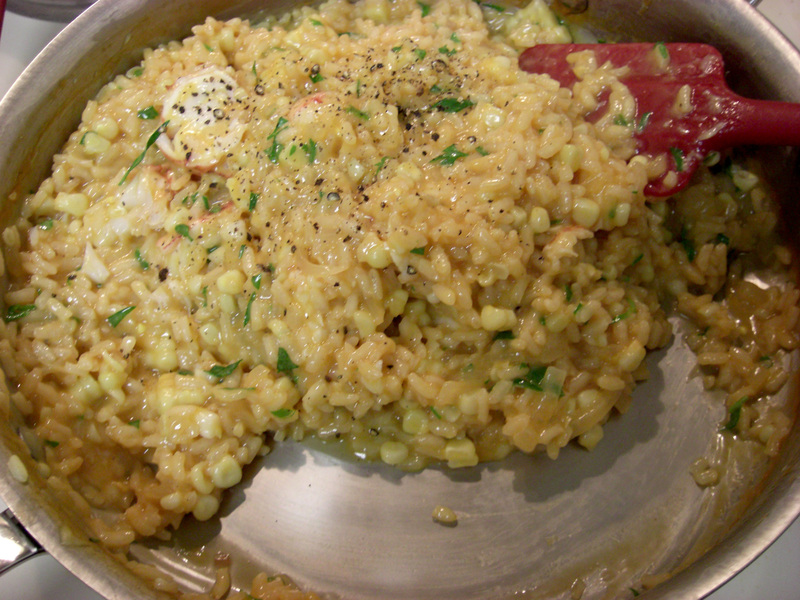 They grow corn near Bresse and eat it fresh at times, and the tarragon is particularly French. And who is at fault for that? Perhaps my mother, who sent me off to college with a copy of Jacques Pepin’s La Technique, forever adding a French influence to my cooking? J’accuse! 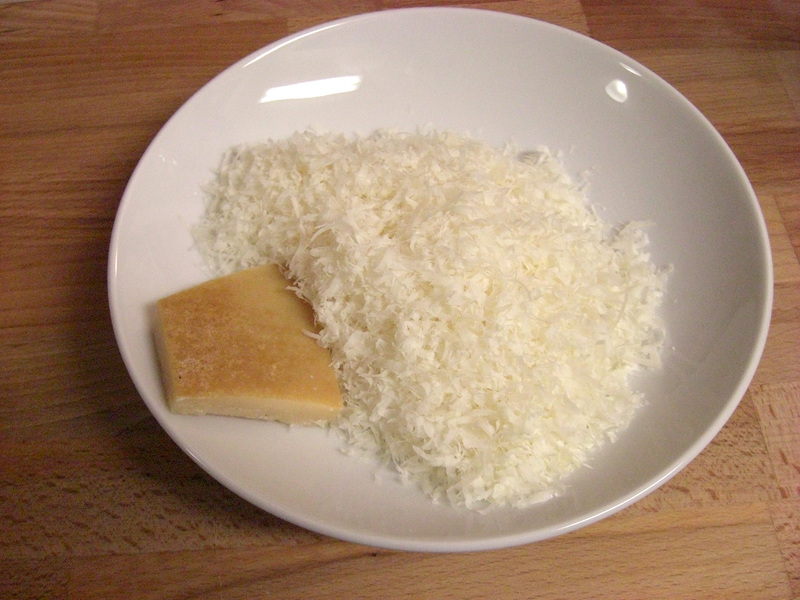 From a technique standpoint, this is indeed an Italian preparation. 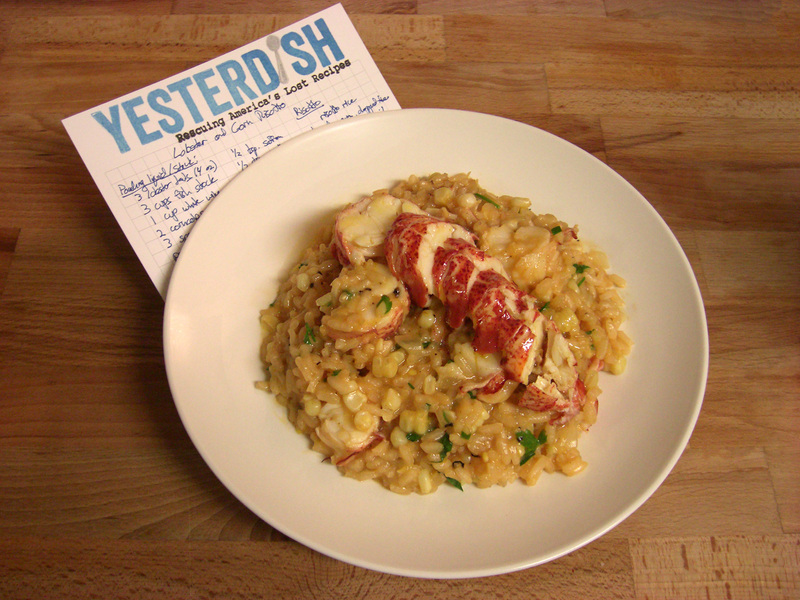 Poaching the lobster in a stock used to make the risotto is exactly how lobster risotto is made in Italy. 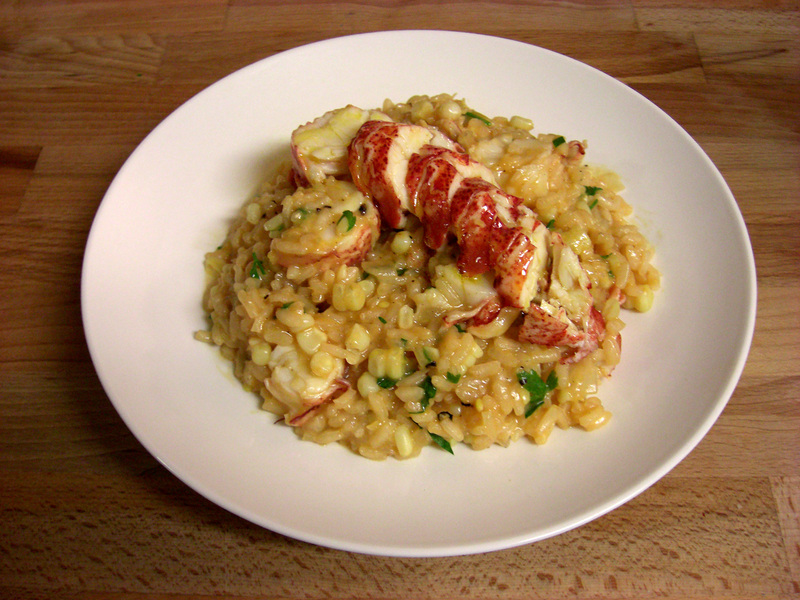 And the risotto technique itself is still Italian: onion is sauteed in olive oil (or butter), the grains are coated in the oil and slightly toasted, and stock is added in intervals until it’s fully absorbed, and it’s then finished with cheese, herbs, and the poached lobster. 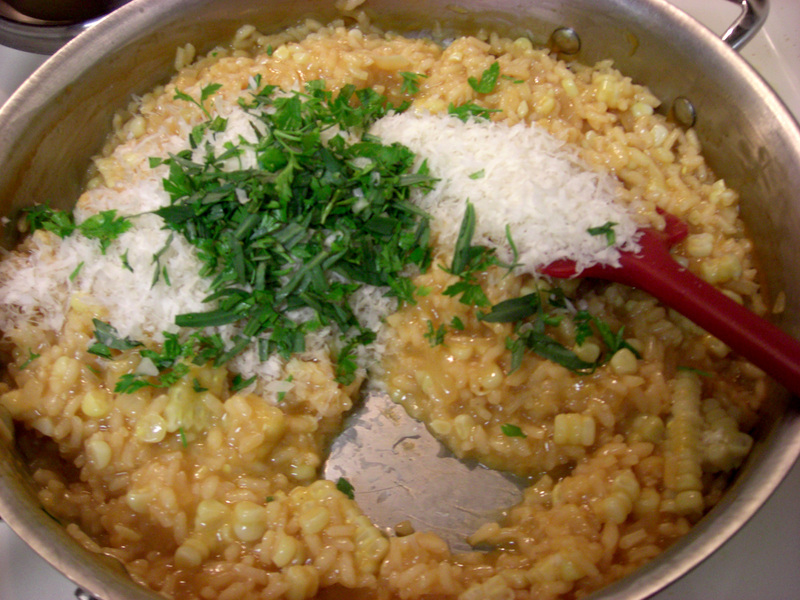 The only non-Italian parts are the corn and the choice of herbs. As I’ve expressed before, the only authenticity I’m interested in personal authenticity. For me, that’s American ingredients, Italian technique, and French accents. For my mom, that’s the ocean. So I think she should show us her ocean lover’s lobster risotto. 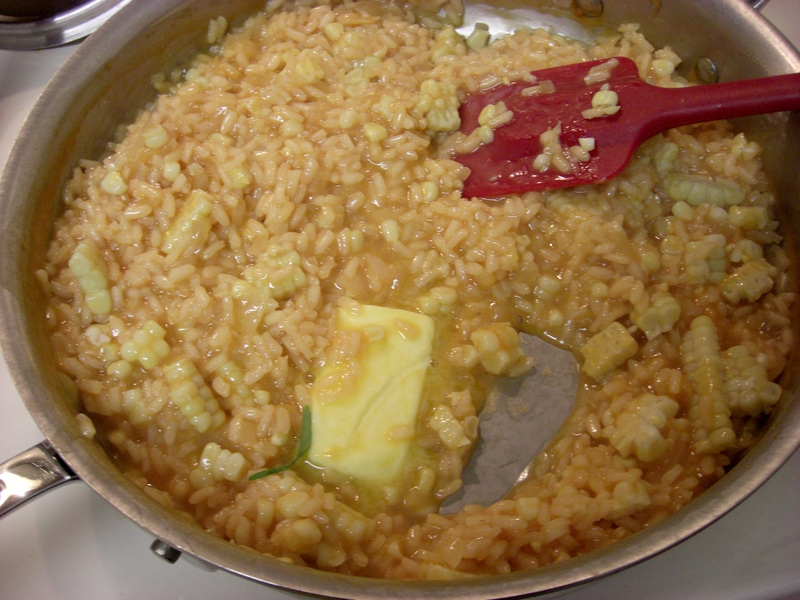 I finished my risotto with one of the sliced tails, which I then drizzled with a combination of clarified butter and truffle oil. If you don’t want to make fish stock, you could use a store-bought fish stock, clam juice, or even water in making the stock. But I’d shy away from using chicken stock here. Finally, this recipe will make two main course servings, or four first course servings. Sorry I didn’t take your advice on this one, mom. This isn’t a Yesterdemocracy, it’s a Yesterdishtatorship. But I am a benevolent ruler and invite you to respond with your version. Steam 2 ears of corn and cut kernels from the cob; save cobs. 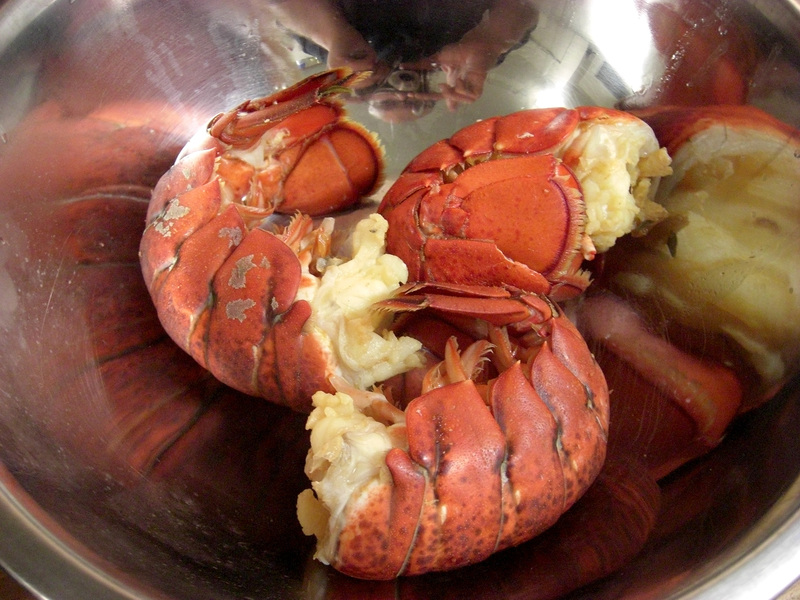 Combine poaching liquid ingredients and bring to boil (except lobster). 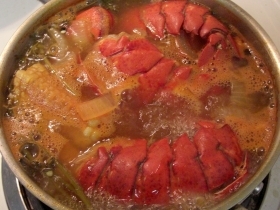 Reduce heat to simmer. Poach tails for 6 minutes; remove and allow to cool 2 minutes. 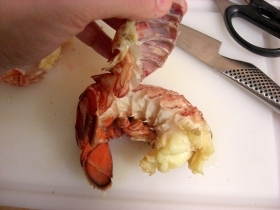 Remove meat from shells; return shells to stock for 30 minutes. 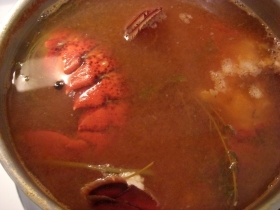 Strain stock, wash pot and return strained stock to clean pot. 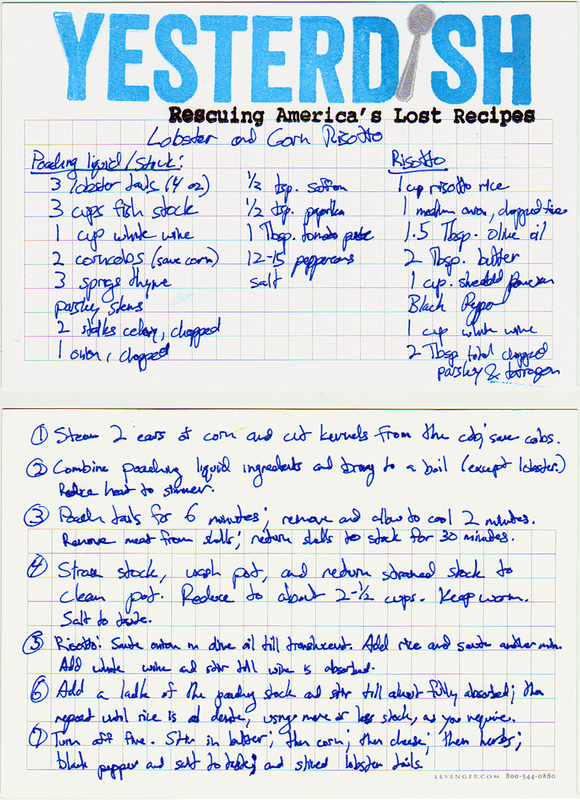 Reduce to about 2-1/2 cups. Keep warm. Salt to taste. 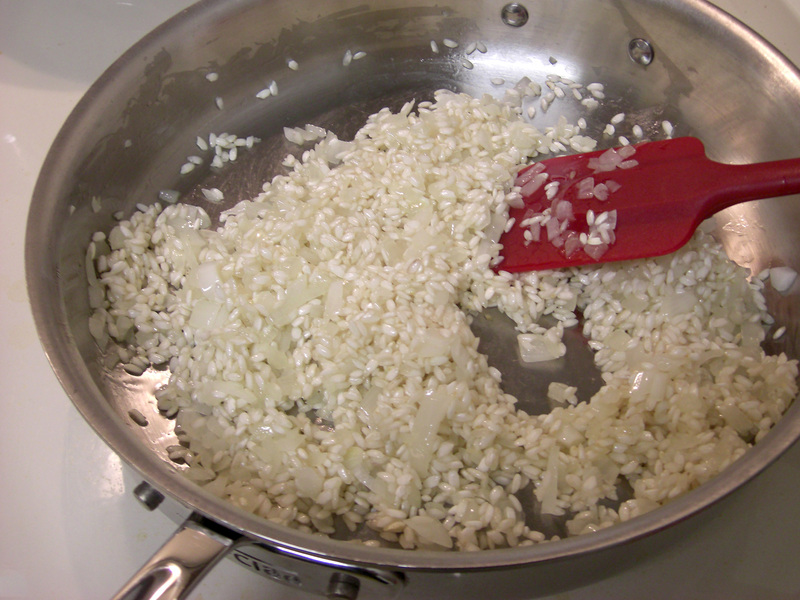 Risotto: Saute onion in olive oil till translucent. Add rice and saute for another minute. Add white wine and stir till wine is absorbed. Add a ladle of the poaching stock and stir till almost fully absorbed; then repeat until rice is al dente, using more or less stock, as you require. Turn off fire. 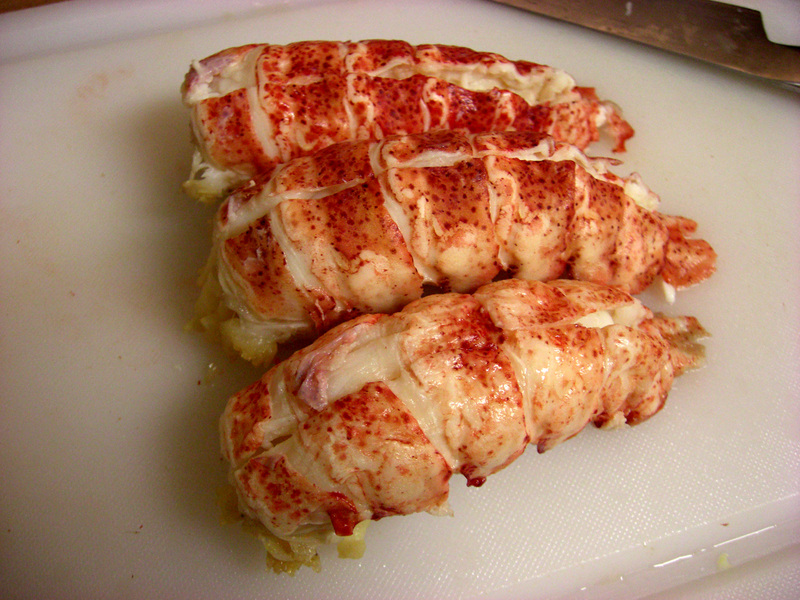 Stir in butter; then corn; then cheese; then herbs; black pepper and salt to taste; and sliced lobster tails. Je suis ici…. Tapping my foot. Insomma. You decided yo go rogue? Who do you think you are? 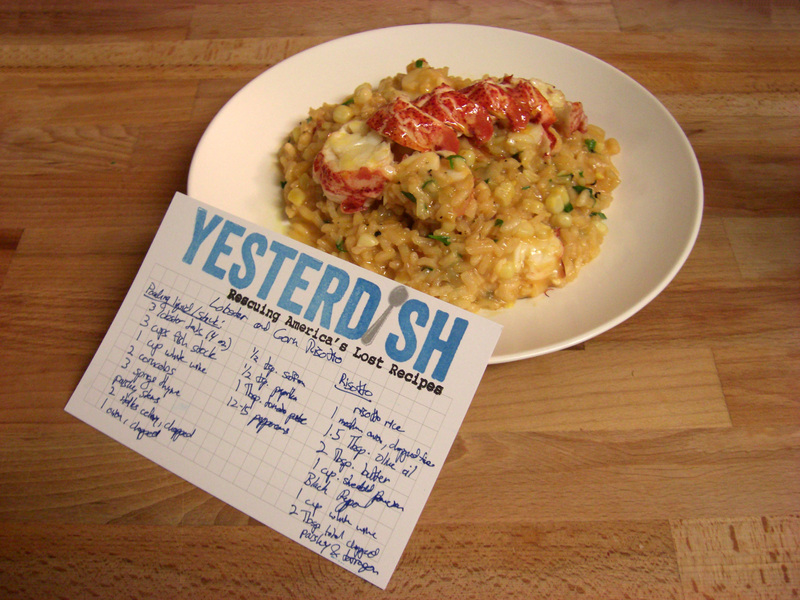 You want my risotto con aragosta? Where is the saffron? Where is your fume` your white pepper? And you serve this without a pinot grigio? I take up your challenge you philistine! 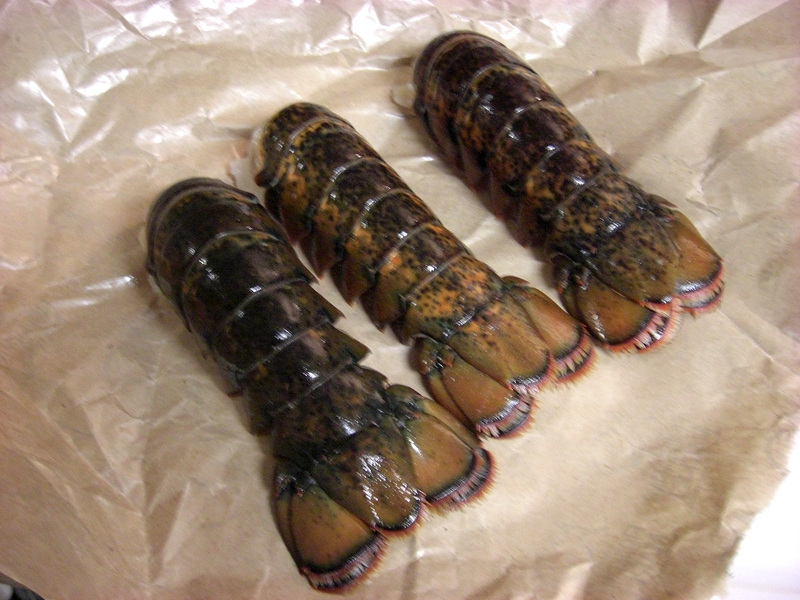 I will go get my fat girls [yes I like fat lobster girls, not boys] and I will do a side dish of stuffed artichokes. Why? Because that is what I like! And the last dictator in Italy was the late Benito. Now I know you are never on time, but do you really want to be THAT late?